This week for maths, our must do was to complete three tasks. The first task was compulsory, (Meaning it had to be done). For that task, if one person doesn't finish it, they, and everyone else automatically fails. That first task was a mixed problem slide. You had to answer multiple problems, while explaining how you got that answer. 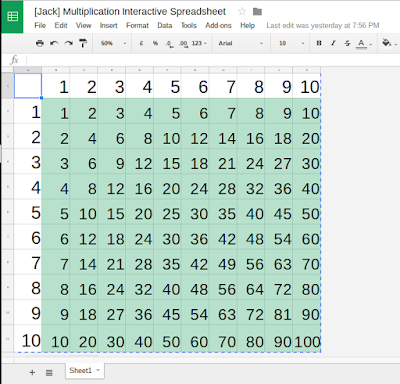 The second task was to create an interactive multiplication spreadsheet, that has built in coding, that tells you if you wrote the correct answer down. The third task was to create a 3 dimensional shape, with coding put in to create the shape. For the third activity we created our shapes with Pencilcode. 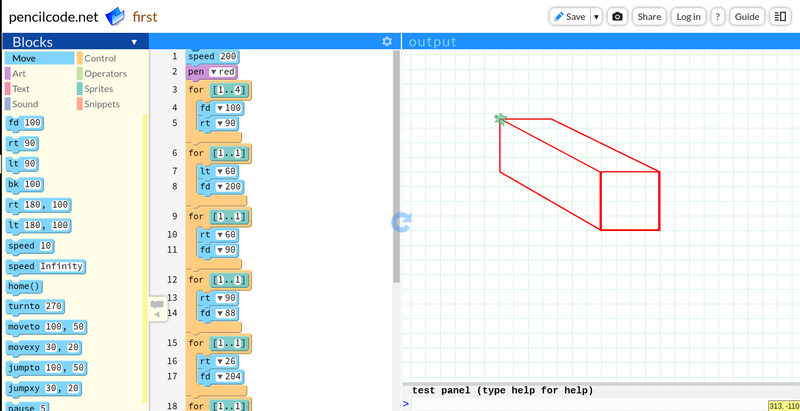 Pencilcode is a free website that can allow you to create drawings while a pencil has codes that you put in. There are 4 main codes that you use. The forward code, (Letting you choose how far the pencil goes directly forwards), the right code, (Letting you choose how far the pencil rotates to the right), the left code, (Letting you choose how far the pencil rotates to the left), and the back code, (Allowing you to go back to where the pencil previously was). Pencilcode always provides you with a already set code for you to change as an example. My shape that I made was a square prism. I started off by creating a square, and then rotating to the left, and going forward, which made a square with a stick coming out of it. I then made another square, but without the right and bottom lines. I then turned to the right, and went back to my first square I created, and looped around it, until I made it to the top left corner of the square. Once I was there, I again turned to the left, and went forwards up to the top left of my entire shape. To do this all, I tried a bunch of angles until my codes met up to what I wanted. I like how you went the extra mile and did all of the tasks! I also like how your 3D shape had straight lines, for me it was quite hard to even make the shape let alone make sure it was straight. I have a few questions though, Was it hard to make the shape? 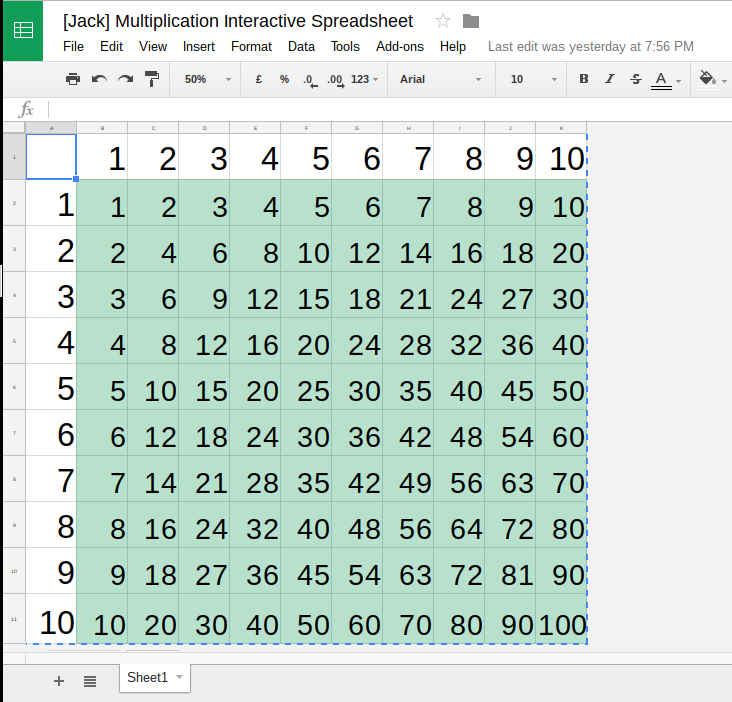 Was it hard to do the coding on a google spreadsheet? And also did you have fun while doing these activities? Great job on making these and finishing your slideshow!